According to a recent news report from the Daily Caller, Joe Scarborough’s 25-year-old son has just suffered a traumatic brain injury (TBI) after falling down a flight of steps. He is currently in Bellevue Hospital in New York City. Scarborough is currently working on a MSNBC show called “Morning Joe”’ along with co-host Mika Brzezinski. Both Scarborough and his co-host have made a lot of headlines recently do to their ongoing feud with Donald Trump during this presidential election race. Scarborough announced his son’s injury on his daily broadcast in which he said he son suffered the traumatic brain injury after landing on his head and fracturing his skull. Scarborough has also said his son’s condition is now stable, but it was extremely “touch and go” for the first several hours after he was admitted to the hospital. As part of his exam to determine if this head injury victim had any lasting cognitive issues in the immediate aftermath of this horrific accident, the doctors asked him a series of questions, and the last question was what was his favorite sports team. Fortunately, he was able to recall that his favorite sports team was the Boston Red Sox and told his doctor that his team had won their last eight games in a row. This was a very good sign, but there is always a fear that there will be lasting brain damage, so they will continue to evaluate him in the days and weeks to come. One of the major reasons for a traumatic brain injury, with or without permanently disabling event, is an impact to the head. However, it should be noted, as our Boston traumatic brain injury attorneys have seen in a variety of cases, the patient does not have to suffer an open head injury in order for the patient to suffer a traumatic brain injury. In a number of cases, the victim’s brain will forcefully slam against the patient’s skull without there being any type of cut or laceration visible. This type of injury that results in a traumatic brain injury is often called closed head injury. Concussions are often caused by a closed head injury. Once the brain is injured, it will typically start to swell like any other party of the body does when it is injured. The swelling is caused by blood rushing to the area to protect the injured tissue. When the blood pools in one area, it can cause a tremendous amount of pressure. Unlike with other parts of the body, there is nowhere for the pressure to go, so the brain will swell against a layer under the skull known as the dura, and this can cause certain parts of the brain to be deprived of oxygen. 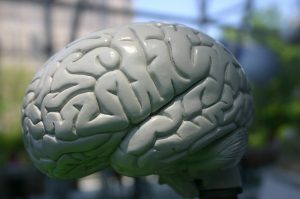 Any time the brain is deprived of oxygen, this can allow brain damage to occur. For this reason, it is essential that anyone who is suspected of suffering a traumatic brain injury get to the emergency room as quickly as possible.